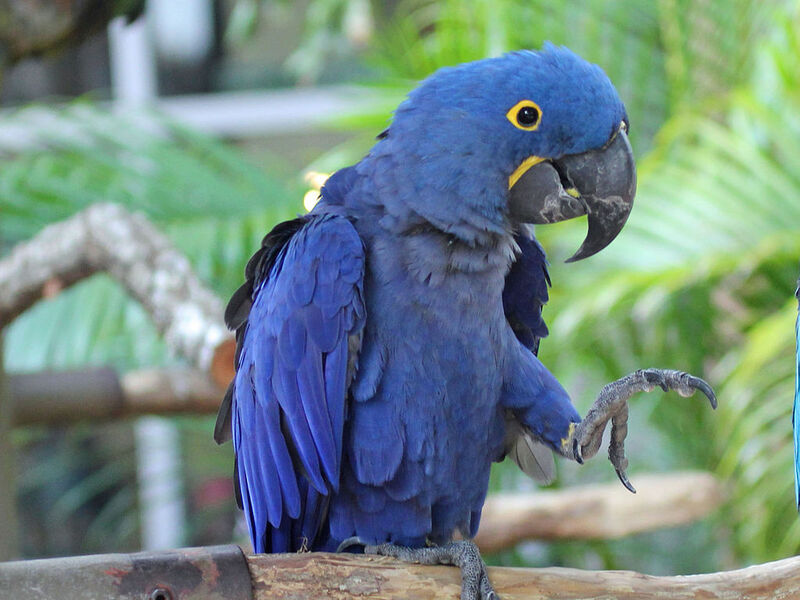 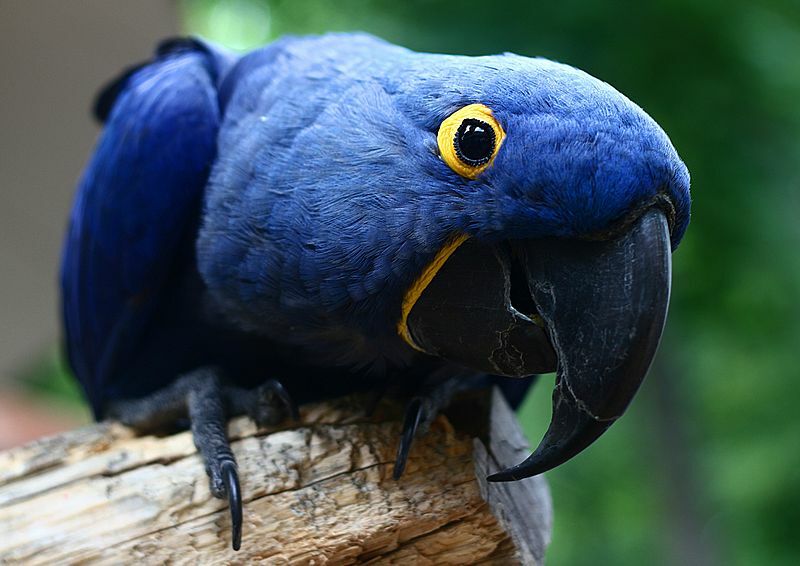 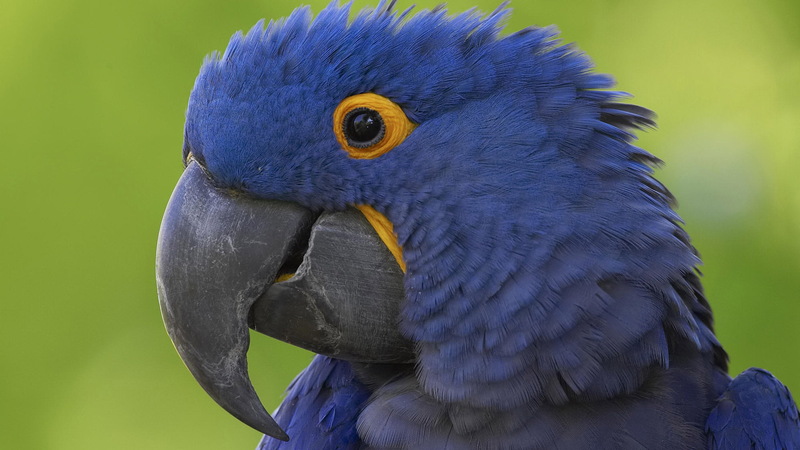 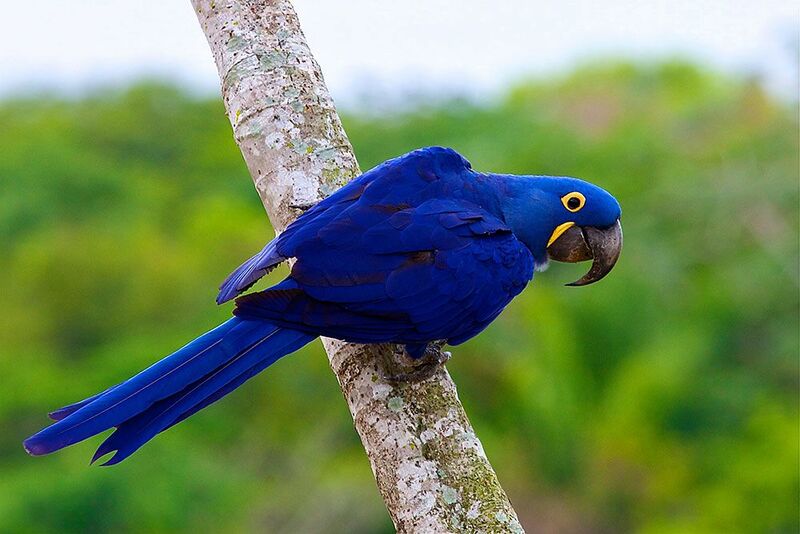 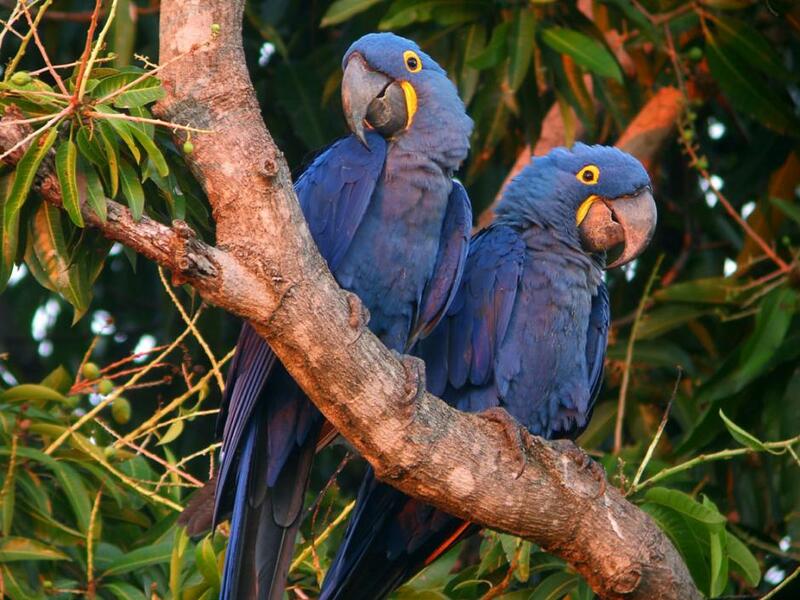 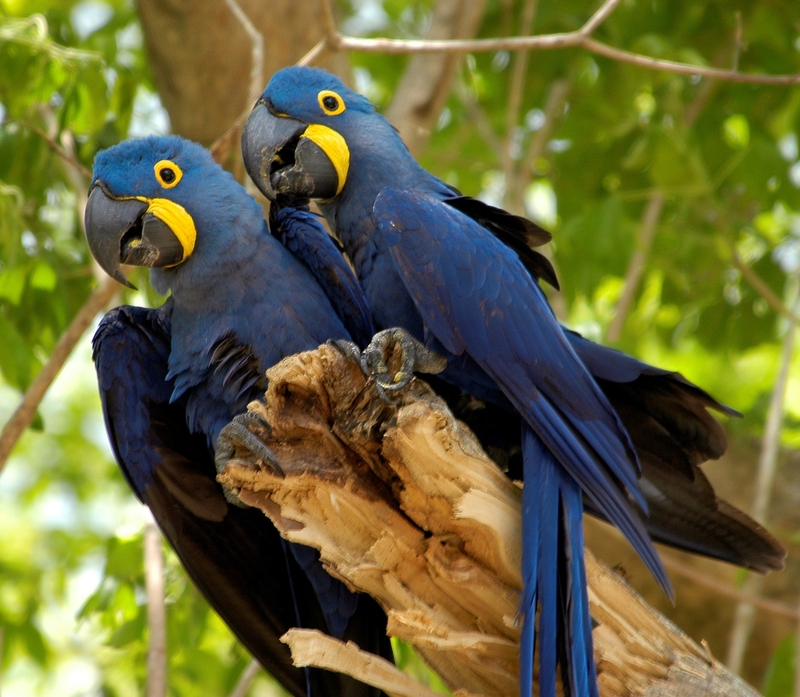 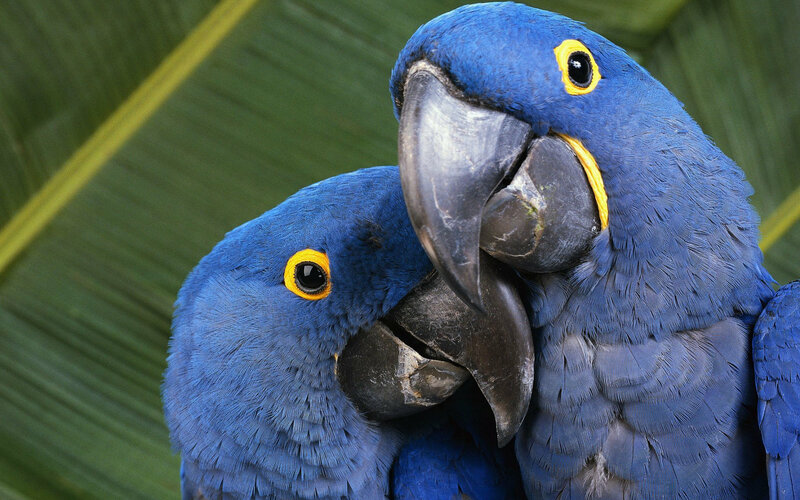 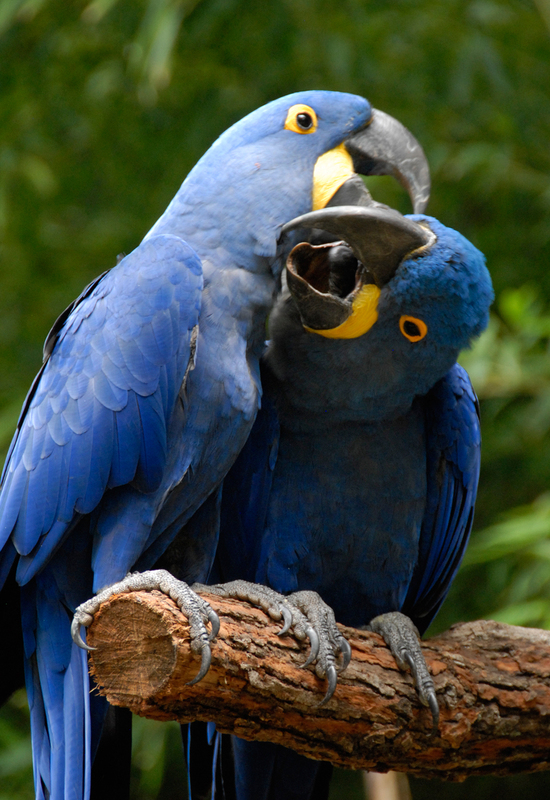 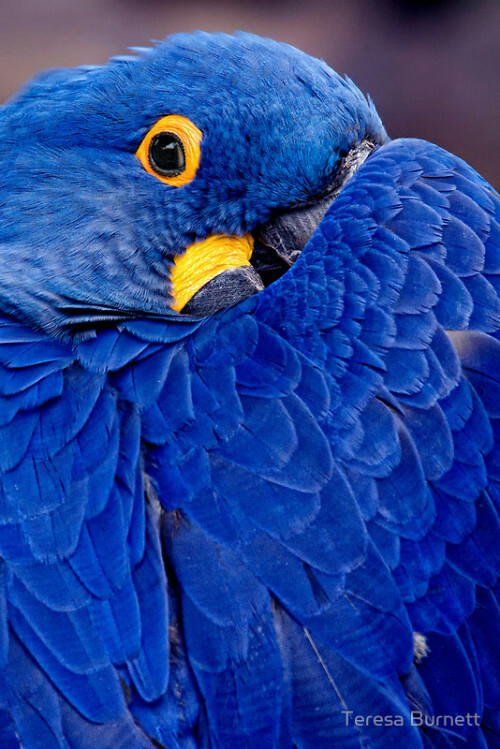 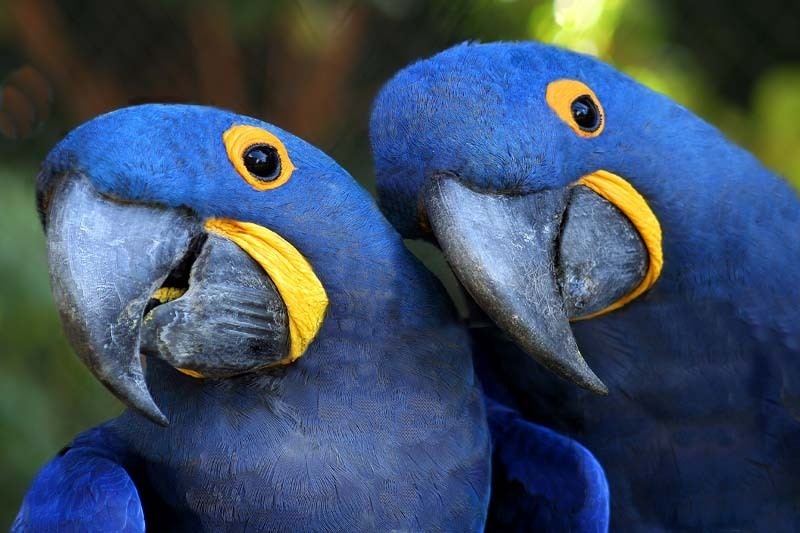 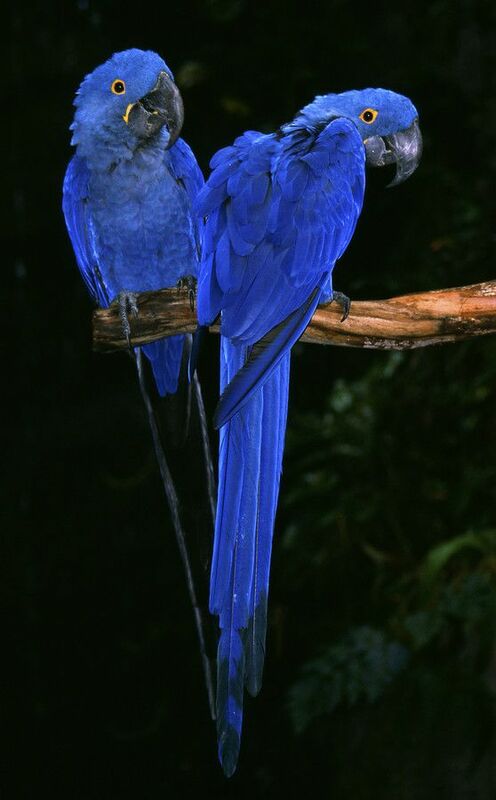 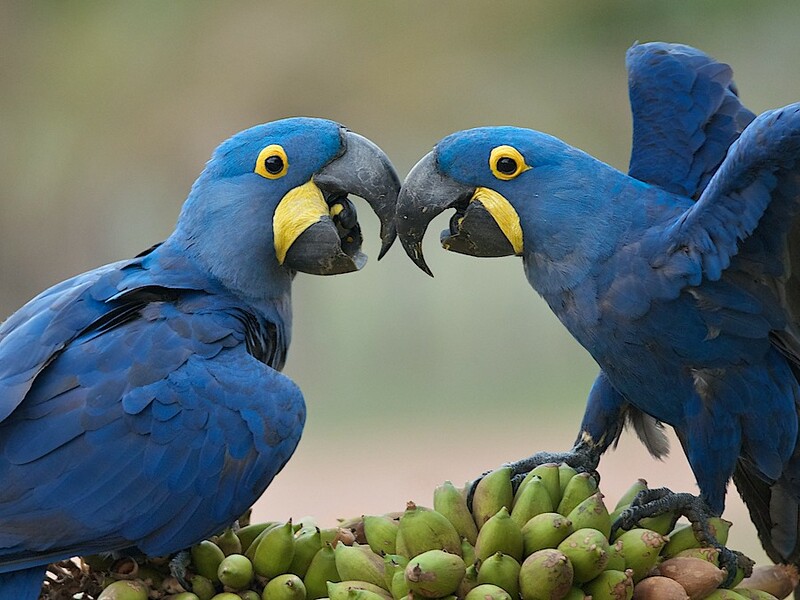 The hyacinth macaw (Anodorhynchus hyacinthinus), or hyacinthine macaw, or more commonly called the “Blue macaw” is a parrot native to central and eastern South America. 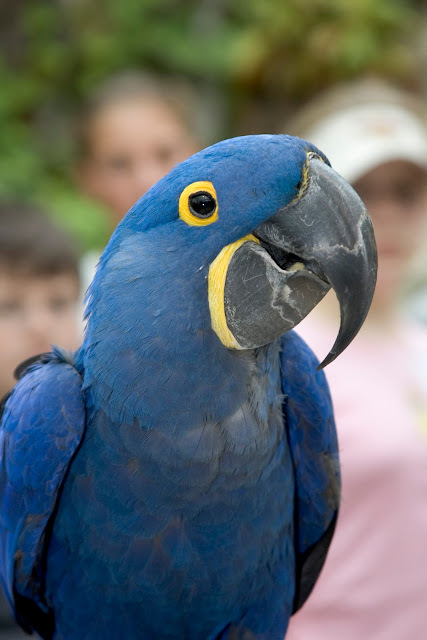 With a length (from the top of its head to the tip of its long pointed tail) of about 100 cm (3. 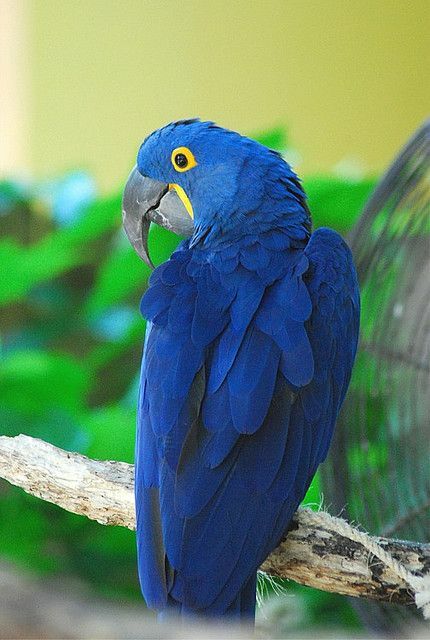 3 ft) it is longer than any other species of parrot. 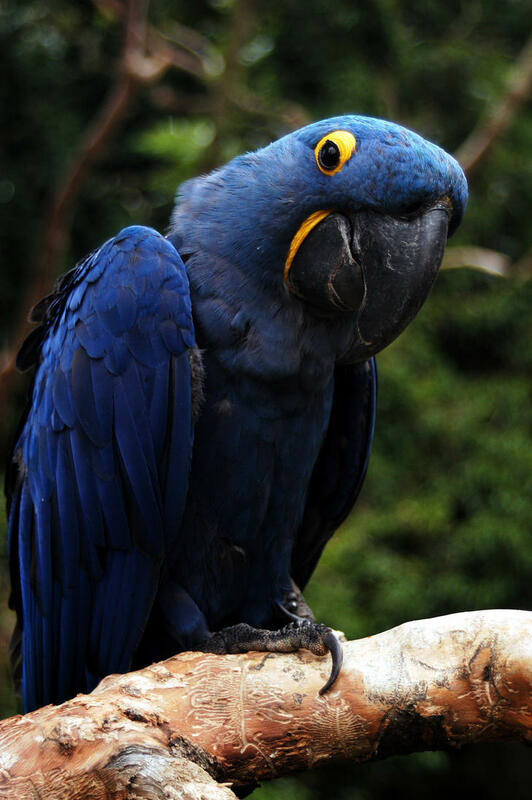 It is the largest macaw and the largest flying parrot species, though the flightless kakapo of New Zealand can outweigh it at up to 3. 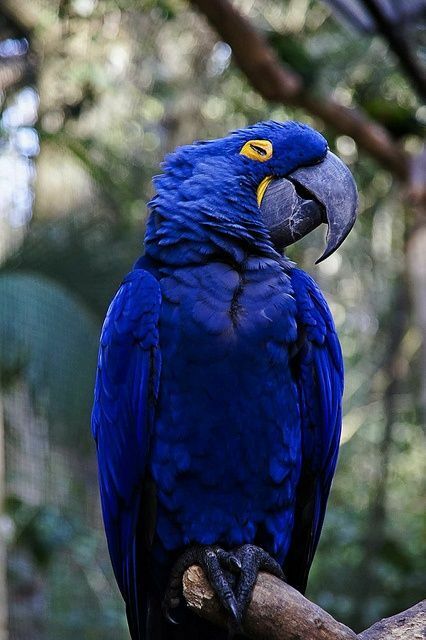 5 kg. 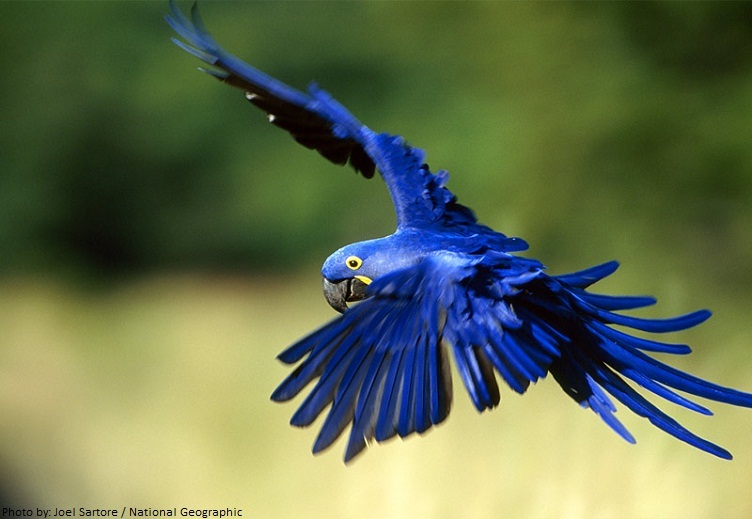 While generally easily recognized, it could be confused with the smaller Lear's macaw. 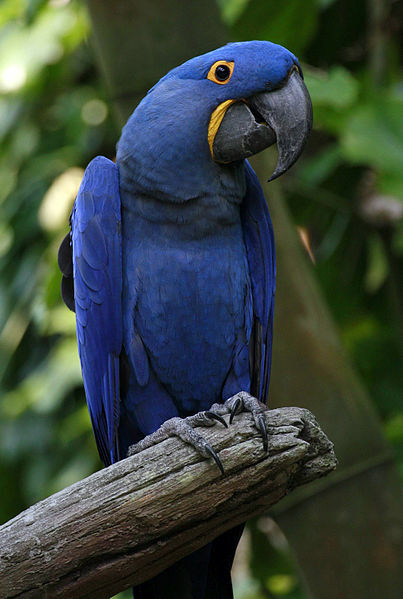 Habitat loss and the trapping of wild birds for the pet trade have taken a heavy toll on their population in the wild, so the species is classified as Vulnerable on the International Union for Conservation of Nature's Red List, and it is protected by its listing on Appendix I of the Convention on International Trade in Endangered Species of Wild Fauna and Flora (CITES).